Thank you to the ladies of the Altrusa Club of Sikeston for their very generous donation to LBFOL! 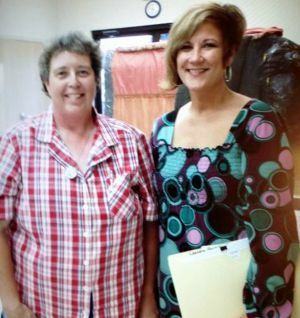 Marilyn and LaRae were asked to speak at their meeting on August 26 and shared the message of LBFOL and what we are doing in the community by delivering God’s love one laundry basket at a time. We want to thank Margaret Anderson and all the ladies from the Altrusa Club for the invitation and for their generous donation, which will enable us to help many more senior adults and families in need with a Laundry Basket Full of Love.